What is the vision to spread God’s word in your community and beyond? 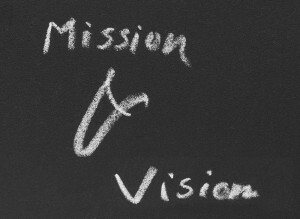 A Vision is……the time for gathering ideas, dreams, goals, visions, present and future ministries, etc. Think not of the confines of existing space that you already have, but of the possibilities of your ministry inside, as well as outside, of the physical building…..a building is only a tool to help your ministry……..because the church is your people, not a building. We encourage churches to think and plan as far into the future as possible for programs, needs, and vision because another construction project may be years away. Budgets will certainly be considered as part of this process, but do not let them create the parameters and dim the vision. A Master Plan will be created as part of this journey, which allows for the possibility for future spaces to be incorporated into the vision even if it is not possible as part of the first phase. That incorporates the many diverse ideas into a well-planned, functional, and affordable facility. That is sensitive to the personality and unique dynamics of your ministry. That puts the priorities of your ministry first. That has the total support of the organization, both from a ministry and financial perspective. That is totally unique to what your church is trying to achieve with your ministry. Your vision and your congregational support are the voice of your church…..keep them informed and involved. 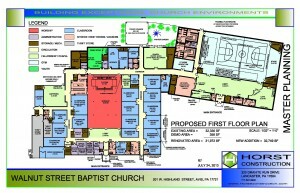 Horst Construction is the vehicle through which the physical building can accommodate your ministry goals. With our Grass Roots support system, we can actively and passionately involve and engage your congregation to help create the Vision, which they ultimately have to financially support. If your congregation was asked to be involved early in the journey…..and their ideas were heard, they are much more likely to have ownership of the Vision, and stronger financial support.